With a stainless steel case and a logo-engraved buckle leather clasp, these stylish watches are the perfect everyday accessory, bringing a touch of class whatever the occasion. 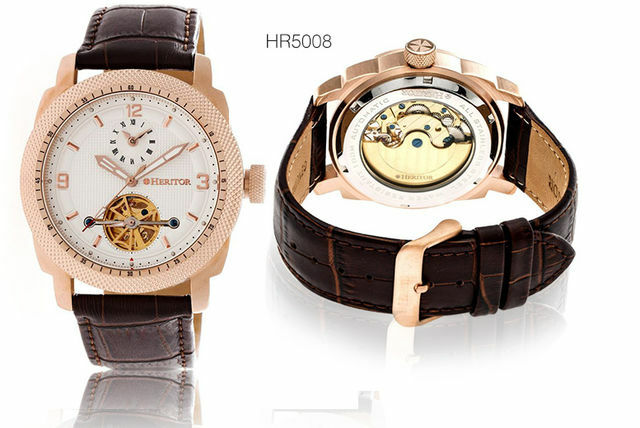 Get a men’s Heritor Helmsley watch in one of five designs. With Roman numeral and skeleton subdials. Stainless steel case with a logo-engraved leather strap.